Sushant Singh Rajput and Bhumi Pednekar starrer ‘Sonchiriya’ is all set to release on March 1. The entire team is on a promotional spree and they are leaving no stone unturned to promote the movie. Recently, the star cast of the film was seen promoting the film in a unique way. Earlier, to build the excitement team ‘Sonchiriya’ opted for a unique promotional strategy where Sushant Singh Rajput, Bhumi Pednekar, and Ranvir Shorey were seen sharing videos on their respective social media handles and they appealed audiences to visit Chambal taking a risk on their own. Now the team has posted an interesting video where all the three actors have seen endorsing Chambal tourism and dare you to visit Chambal asking “Aake Toh Dikhao!”. 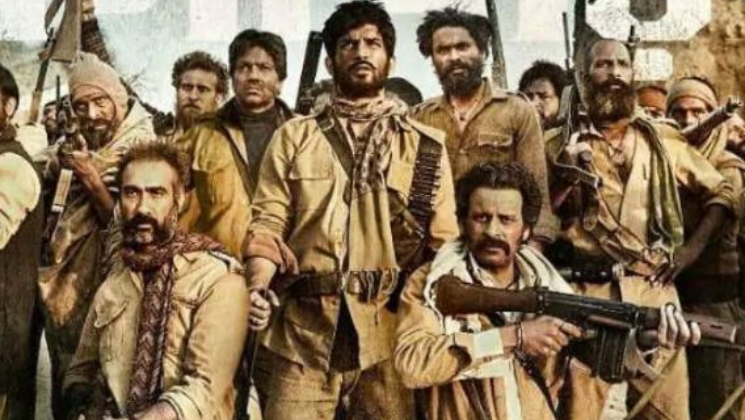 RSVP posted a video featuring Sushant Singh Rajput, Bhumi Pednekar and Ranvir Shorey where all three actors are seen bossing around Chambal and in the end the cast appeals all the audience to watch ‘Sonchiriya’. All the promotional videos of ‘Sonchiriya’ have created a lot of anticipation for the film which will definitely pull the audience to the theatre. The story is set in the 1970s showcasing a small town ruled and dominated by dacoits. Multiple gangs fight over the struggle to attain power. The cast dons fierce avatars in sync with the theme of the film. It promises to be a power packed action film giving a glimpse of the glorious years if dacoits in central India. ‘Sonchiriya’ has been shot in the valleys of Madhya Pradesh. Directed by Abhishek Chaubey, it is backed by Ronnie Screwvala’s RSVP.